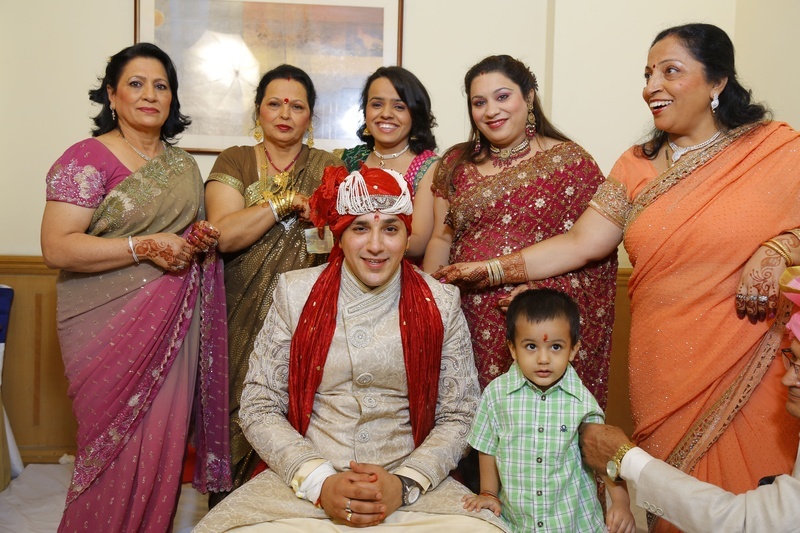 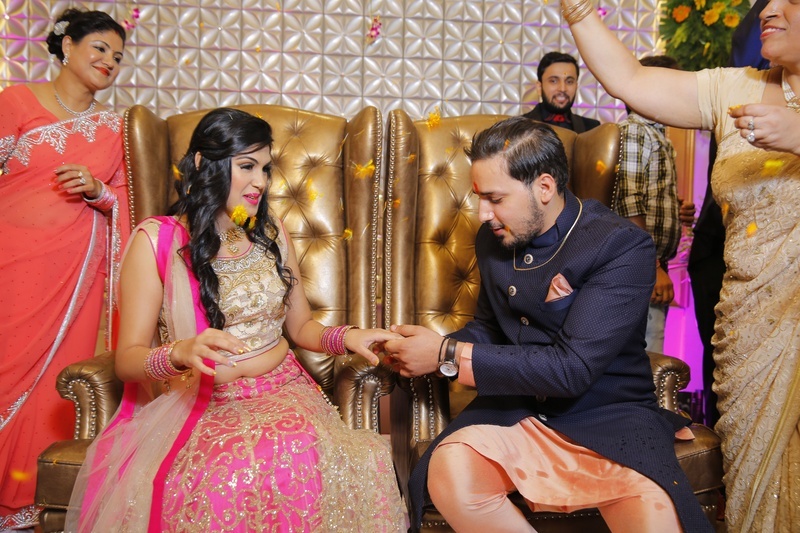 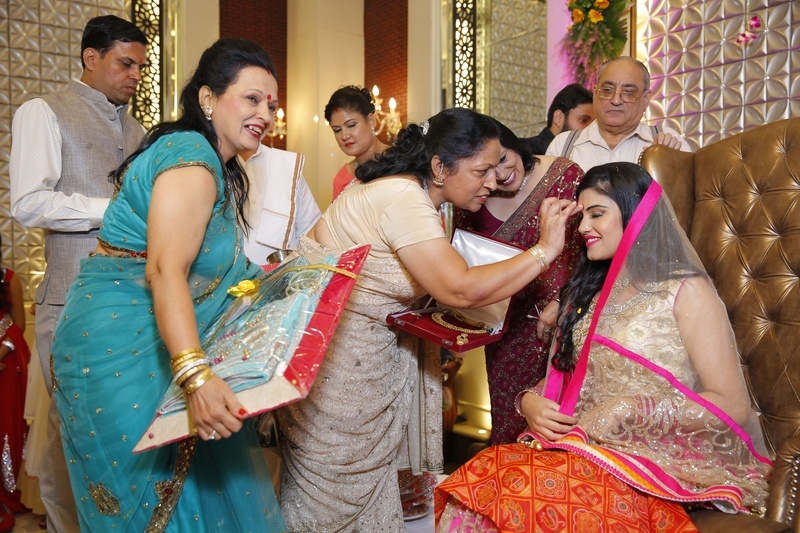 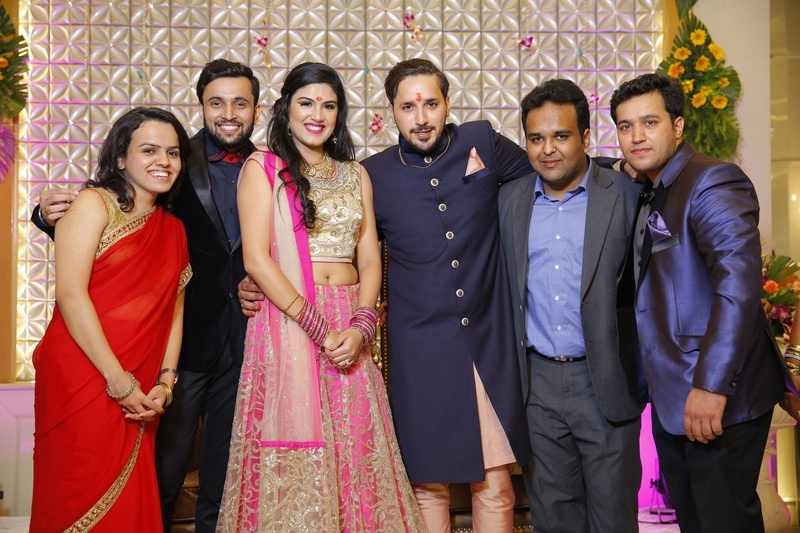 As soon as Manik and Shubra exchanged rings, they were showered with flower petals from every direction, by everyone present at their plush engagement ceremony. 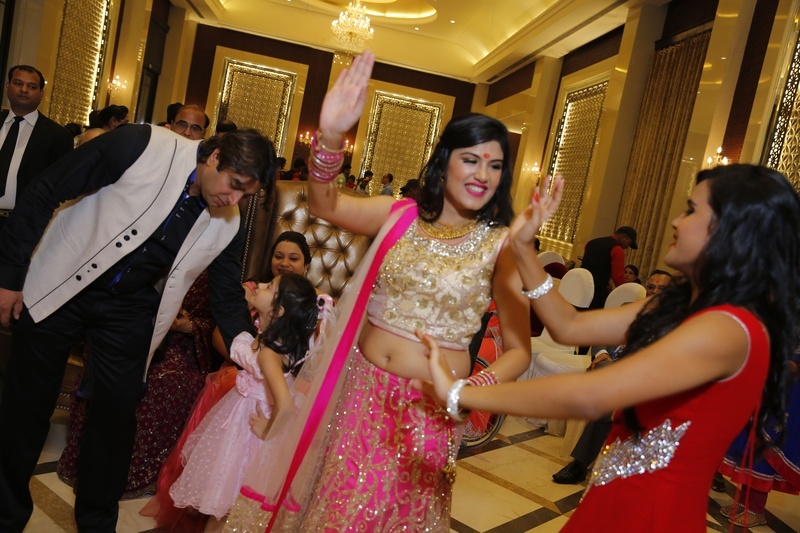 Their celebration took place indoors, in a welcoming warm ambience that was adorned with elegant décor. 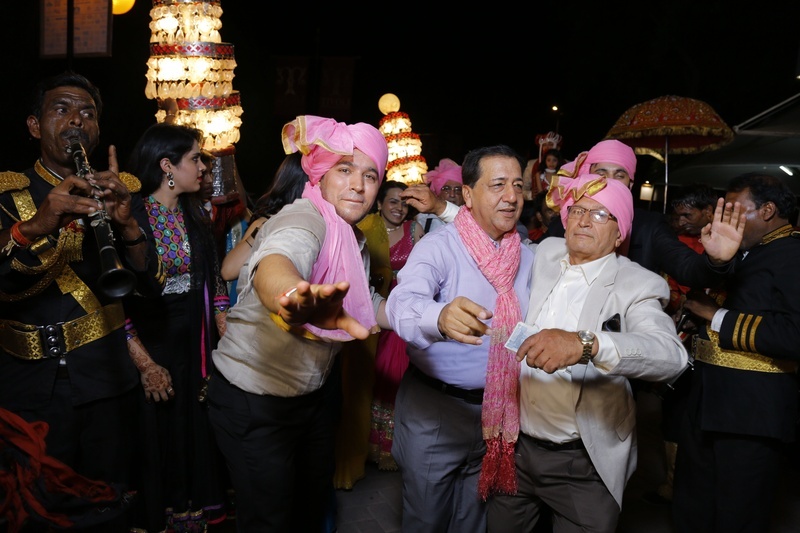 Pink lighting, grand chandeliers and magnificent interiors made the entire day an experience no one would ever forget. 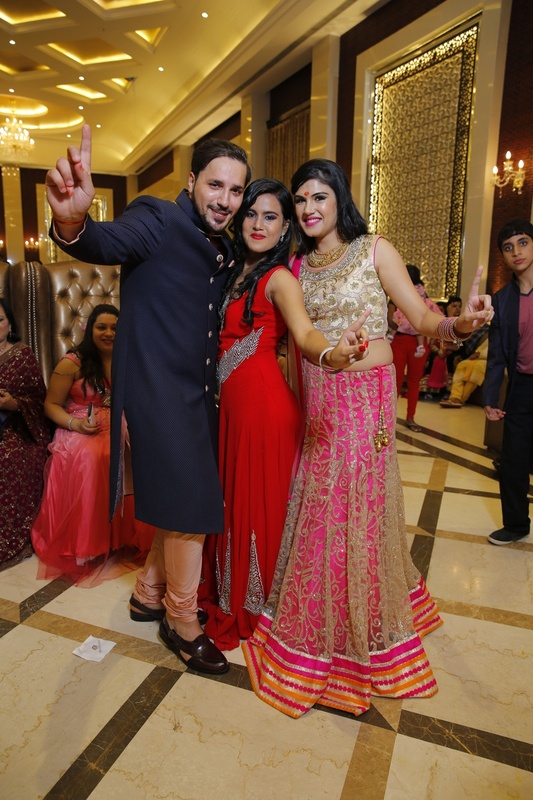 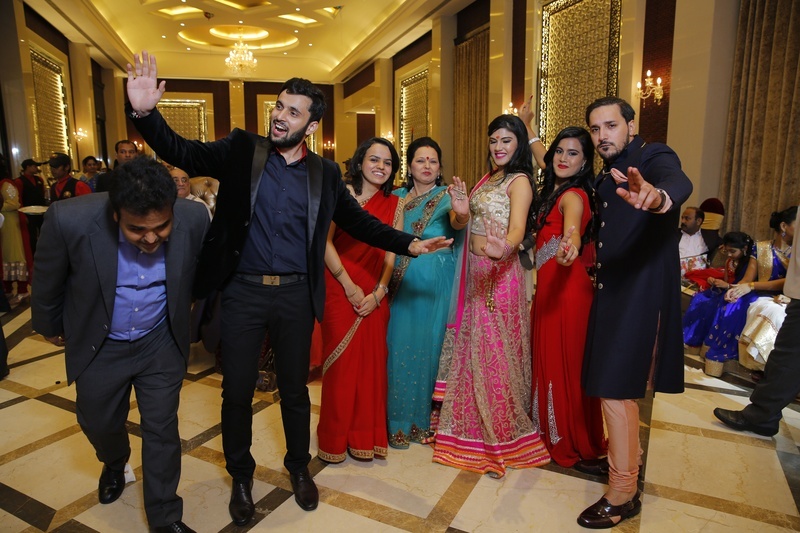 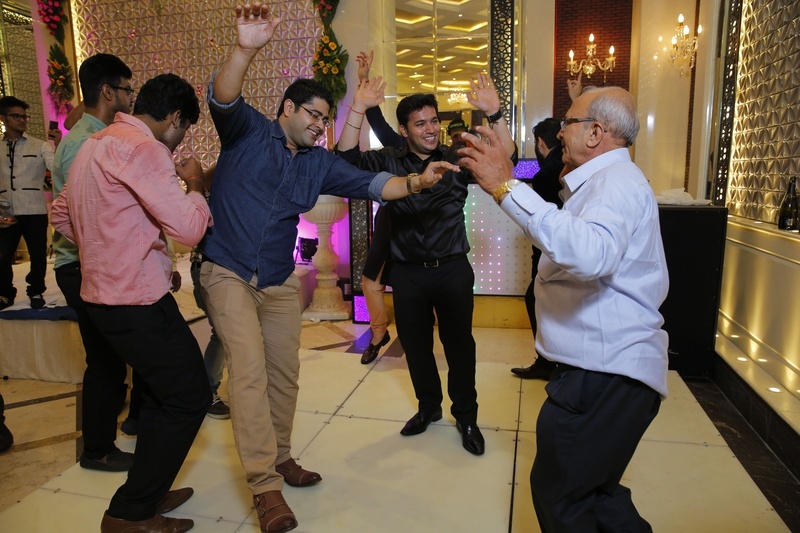 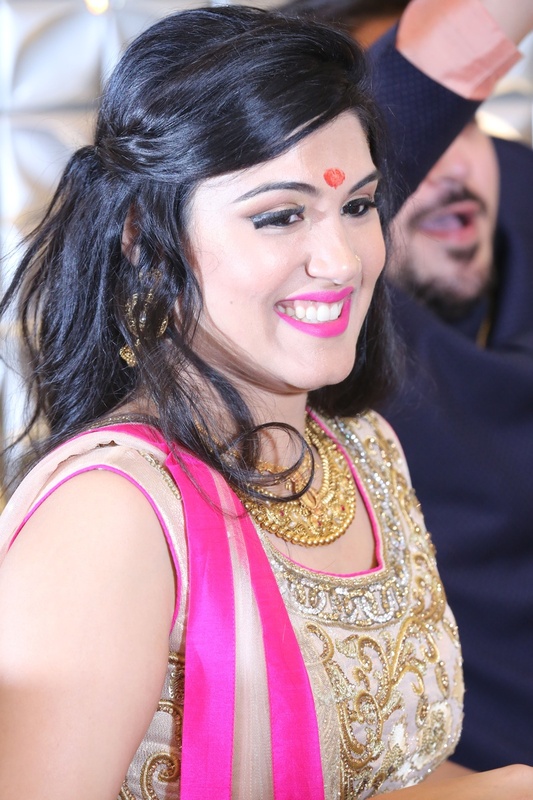 Dancing and enjoying with their family members, the bride and the groom made a graceful entry to the wedding venue. 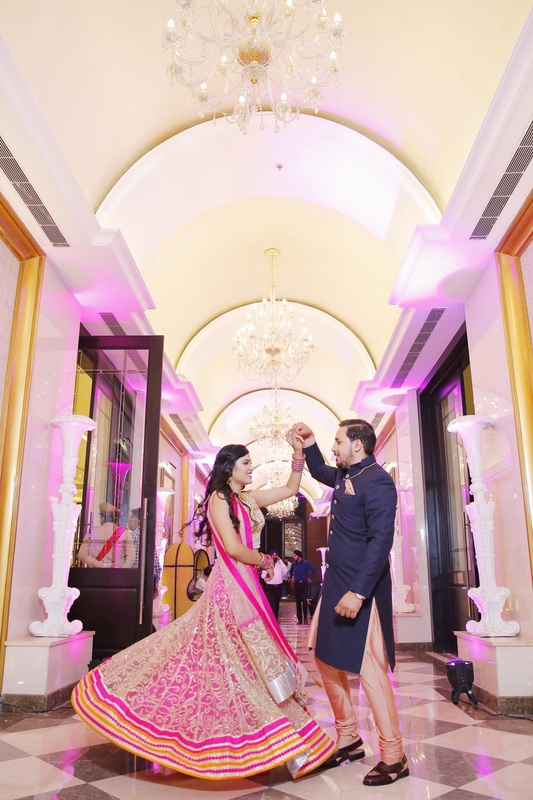 Shubra was dressed in a shimmering pink and gold designer lehenga and Manik wore a classy Indo-western styled sherwani with a peach pocket square. 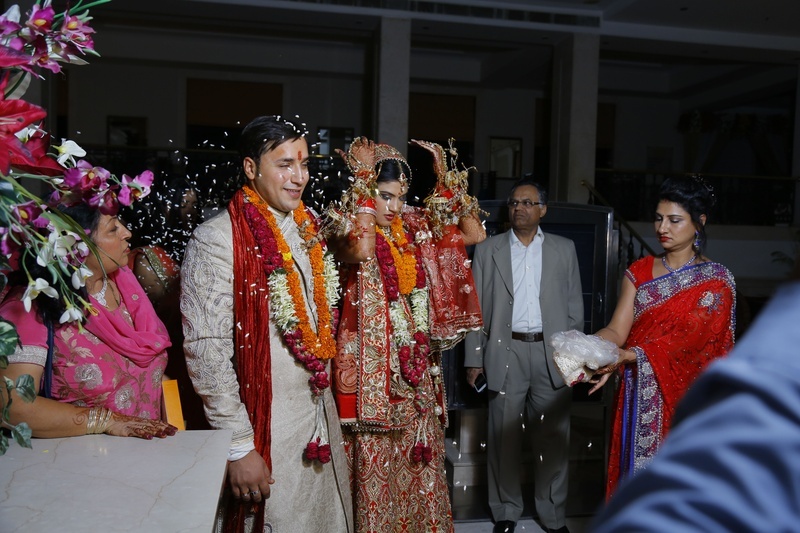 After exchanging rings, it was time for the next big step – The wedding! 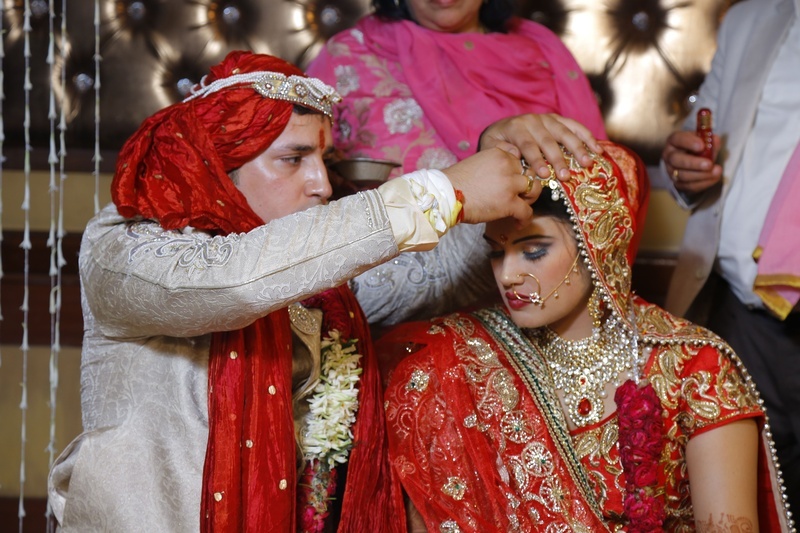 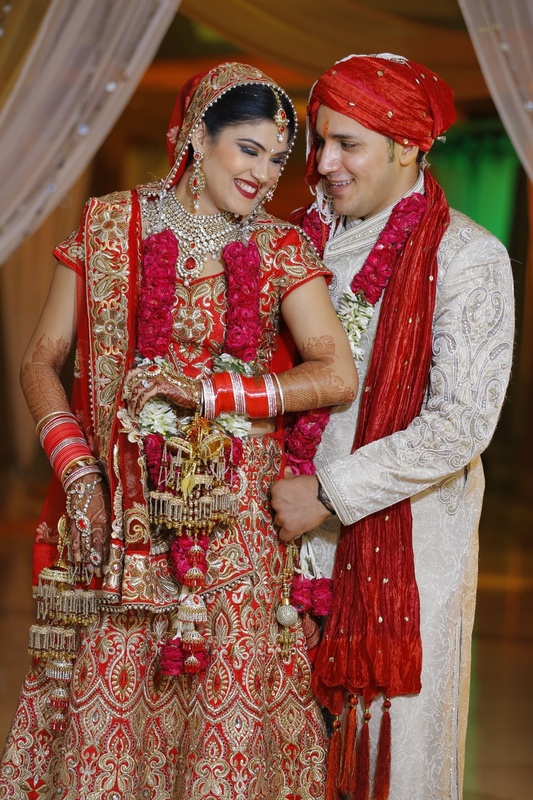 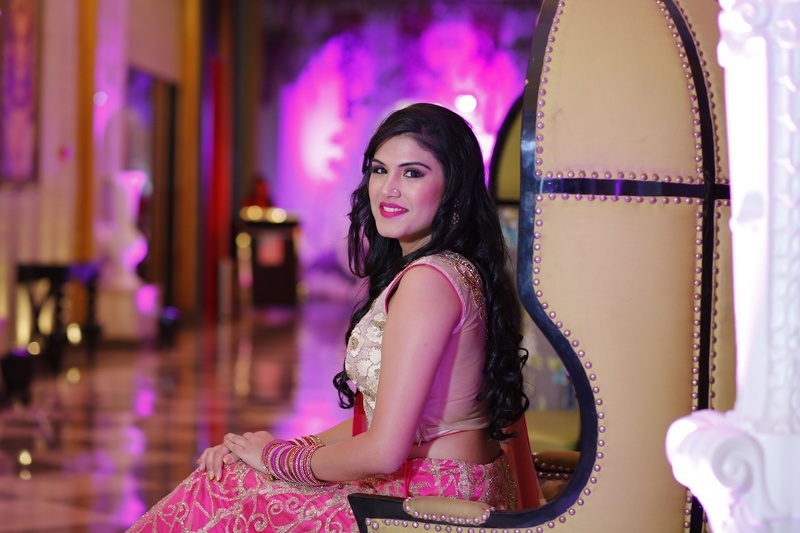 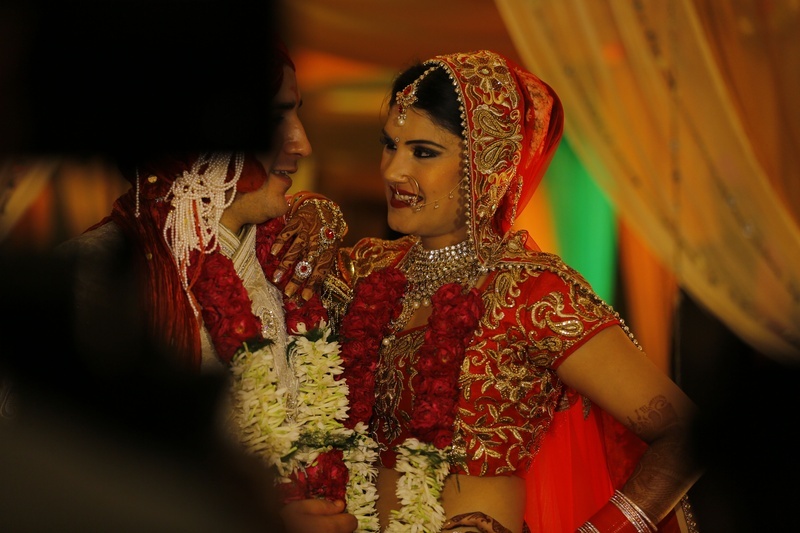 For the wedding ceremony, Shubra was decked in a traditional red bridal lehenga featuring gold threadwork and sequins, while Manik donned a silver-grey sherwani and complimented her perfectly. 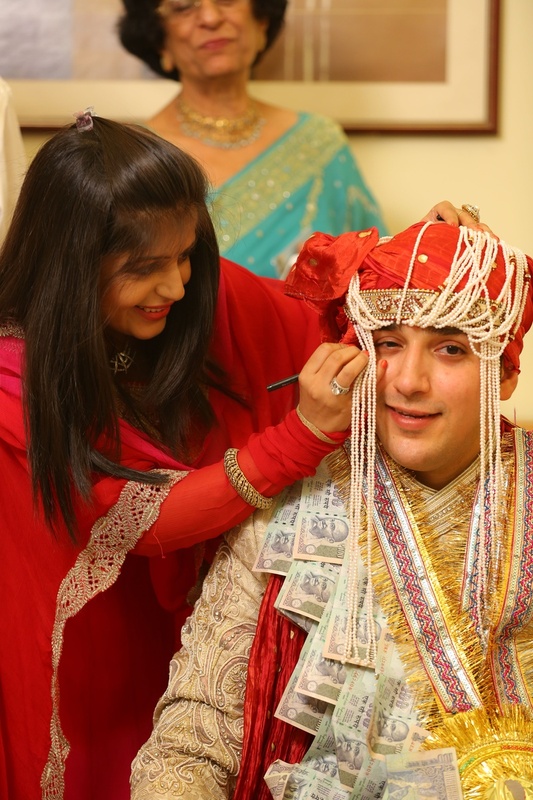 For the grooms out there, ditch that heavy safa, and make a statement by wrapping that long sherwani’s dupatta over your head. 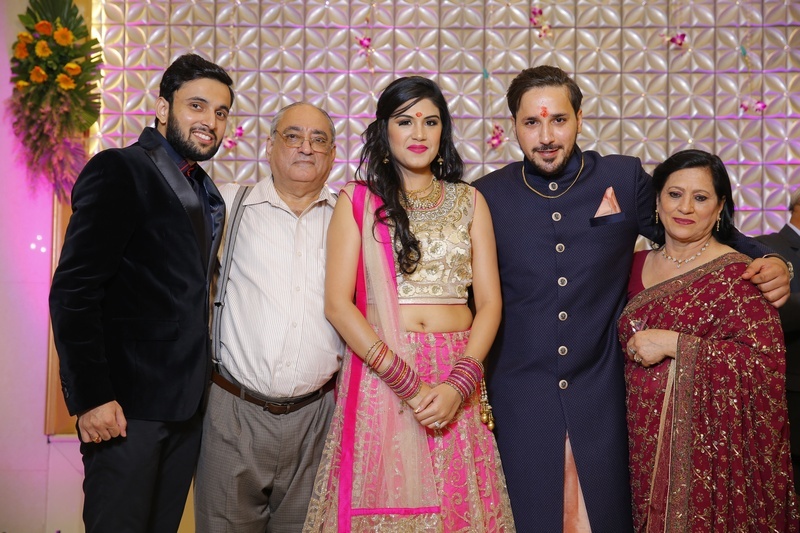 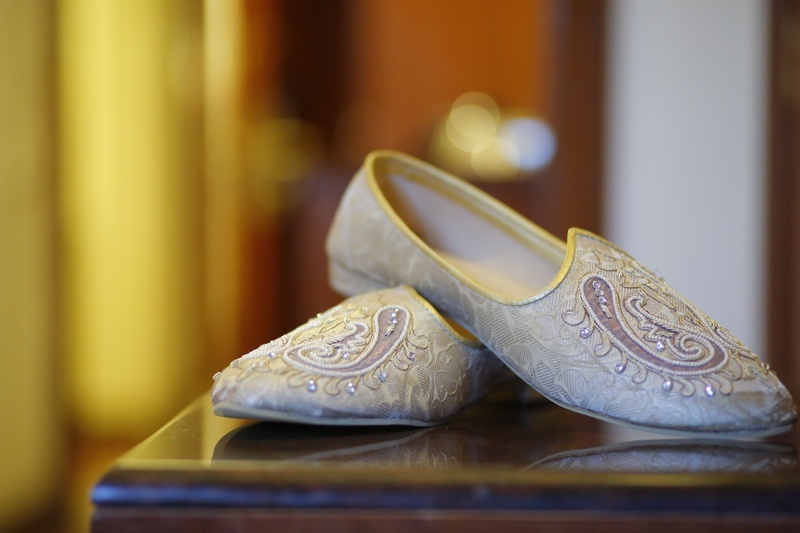 From the close-up of the groom’s mojri, to the fun baraat ceremony, and the emotional bidai moment, every moment of this wedding was perfectly captured by Siddha Photography. 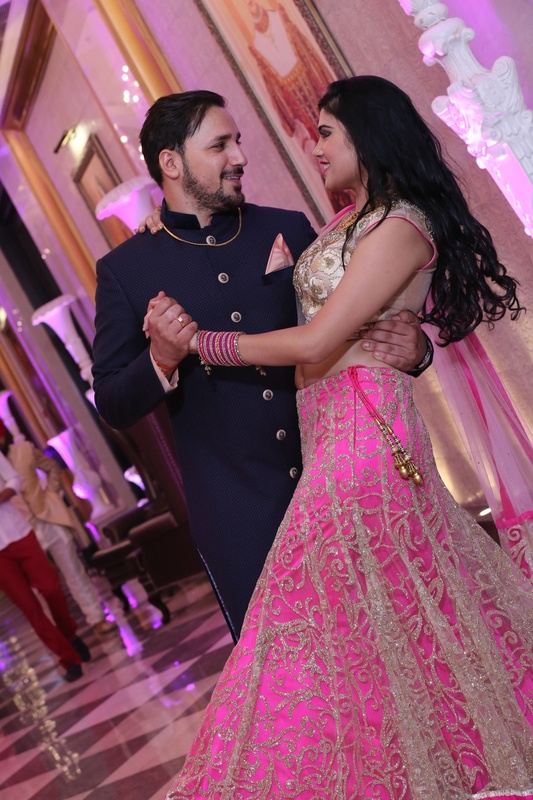 Let’s sneak in to their wedding day through this album!